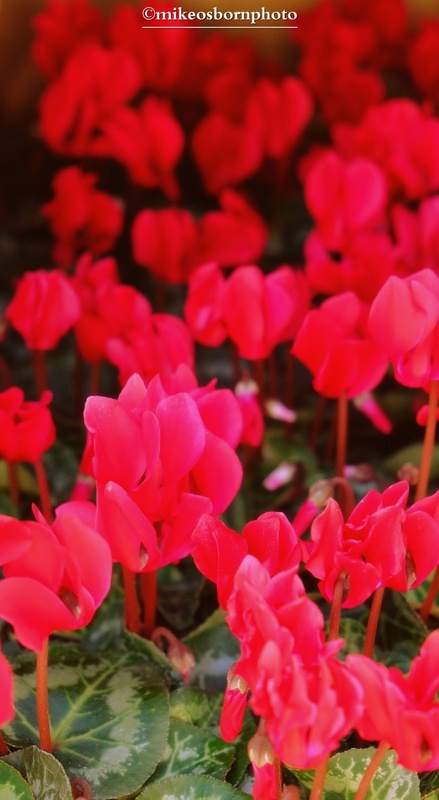 This is a simple capture of a clutch of dazzlingly pink cyclamen plants at my local garden centre. They are colourful stalwarts of the colder months here in the UK and a sure seasonal sign. But there’s another point to this photograph. I walked through Ravenscourt Park in west London before seeing the flowers, stubbornly resisting the urge to take pictures of autumn leaves and trees turning bare. As lovely as those browns, russets and yellows might be, photos of them are even more commonplace than the piles of fallen leaf debris. They’re everywhere. In an effort to tease out more inventive seasonal snapshots, my friend and fellow photographer Richard Cooper-Knight is organising a special autumnal Mass Observation project. You can also sign up via Facebook. Well if you gained pleasure from it, that’s all well and good :-) It’s definitely worth trying to think around the leaves dilemma. Do take part if you have the time, Kiki! Hahahaha! But they’re alive and well!